Recently, two conservators, Olha Yarema Wynar Ph.D., of the Metropolitan Museum Textile Conservation Department and Yuri Yanchyshyn of Period Furniture Conservation visited Ukraine on a Fulbright, introducing textile and wooden objects conservation approaches and techniques at various Ukrainian institutions. 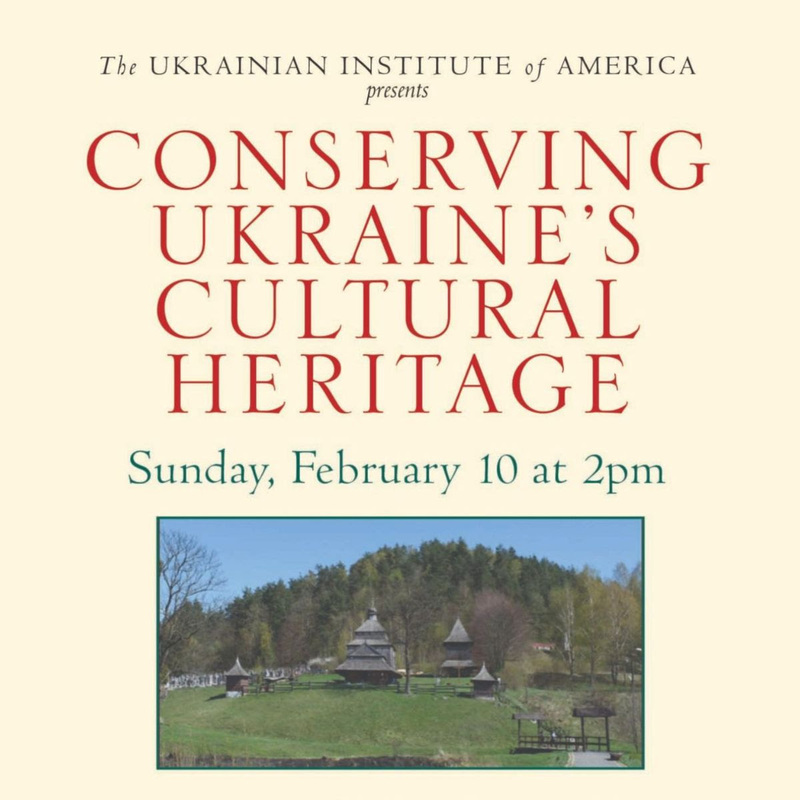 This presentation will focus on their experiences, while highlighting the little known art of Ukraine, and outline perspectives for preserving it for the future. OLHA YAREMA-WYNAR Ph.D., Associate Conservator, Metropolitan Museum of Art. She is responsible for the conservation of textiles from the Department of Arms and Armor and the Department of European Sculpture and Decorative Art's tapestries collection. She holds an MFA in decorative and applied arts from the Lviv National Academy of Arts and an MA in Digital Media Studies from the University of Denver. In 2012, Olha was awarded her Ph.D. in museology and cultural studies at the National Academy of Sciences of Ukraine, Kyiv. Her thesis topic was "Western European Tapestries of the 16th–19th Centuries from the Collection of the Bohdan and Varvara Khanenko Museum of Art: Manufacturing Technology and Methods of Conservation, Preservation, and Museumification." As of 2017, she is a Fulbright Specialist in museology with a concentration in textiles. YURI YANCHYSHYN, Principal and Senior Conservator, Period Furniture Conservation LLC and Kensington Preservation LLC. Before founding his firms, Yuri worked as a consulting conservator at the Metropolitan Museum of Art. He holds degrees from the University of Michigan and Cal Arts and received conservation training from the Amsterdam Academy for Restoration and the Smithsonian Center for Materials Research and Education. He has treated wooden objects for over 30 years, and his firm's clients include museums, historical societies, auction houses, collectors, fine arts advisors, dealers, designers, architects, and other conservators. He was awarded Fulbright Specialist Status in 2016 and taught a six-week introduction to wooden artifacts conservation at the Lviv Polytechnic National University, Lviv, Ukraine in 2018.